See what is happening in this lovely village. A network of walking and cycling trails with a rich historical background and showcasing notable sites in the life of Sir Francis Drake, stretching from Plymouth to Tavistock. Cycle Spur 1 Yelverton – Meavy – Burrator View Route Map and Info (with link to podcast and leaflet). Walking Spur 2 Meavy – Burrator View Route Map and Info (with link to podcast and leaflet). 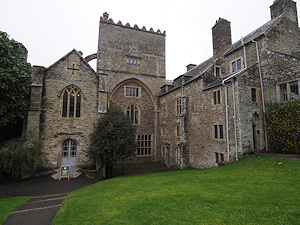 The 700-year-old home of Elizabethan seafarers Drake and Grenville, set in a beautiful Tavy Valley estate. The Garden House is a tranquil garden set in a Devon valley. ‘Perhaps the most breath-taking of all gardens’ – Rachel de Thame. It is an 8 acre garden that is a magical place any time of year. 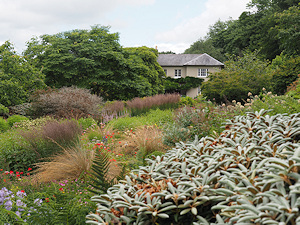 There is a walled garden, bulb meadow, cottage garden, South African garden, quarry garden and acer glade. With activities for children, Tearooms and Plant Sales. 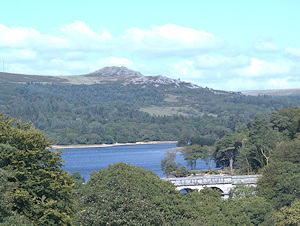 Undisturbed Burrator is surrounded by mixed woodland which sharply contrasts with the open moor and rugged Dartmoor tors. Dartmoor National Park covers an area of 368 square miles – the largest and wildest area of open country in southern England. Throughout the year Dartmoor is an exceptionally beautiful place to visit, with deep wooded gorges, beautiful lake-like reservoirs and tumbling rocky rivers. Bed & Breakfast Accommodation in a traditional granite and stone built farmhouse nestling in the very pretty valley of Meavy. This homely family run hill farm offers peace and tranquility amongst pretty woodland and babbling brooks and is surrounded by excellent walking country. And just a half mile walk to the Royal Oak Inn. Set in the beautiful Dartmoor National Park Burrator House is situated in a secluded woodland site and offers Self Catering Accommodation with modern facilities. For a stay in a classic Edwardian house, in stunning Dartmoor come to the Rosemont. Our rooms are spacious, comfortable and quiet. The atmosphere is relaxed with a professional but unobtrusive service. Completely refurbished, Tor Royal is a luxury Dartmoor Bed and Breakfast offering double and twin en-suite rooms, with a choice of bath or shower, furnished with period furniture. We also have a ground floor room decorated in Art Deco style. All rooms have tea and coffee making facilities and wi-fi.